Open Day is a chance for tens of thousands of aspiring students, families and the wider community to experience the University of Melbourne. Looking into the Biometric Mirror, stepping into virtual reality injury treatment or experiencing a thunderstorm in one of Australia’s highest resolution weather simulations will give prospective students a glimpse of their future studies. Other experiences on the day include meeting a robot who will draw your portrait, watching detector dogs sniff out pests and diseases in wine and stepping back in time to watch an 18thCentury electrical experiment. Activities at the Southbank campus will include open classes in music theatre, theatre, acting, dance as well as open studios for visual art in the new stables. 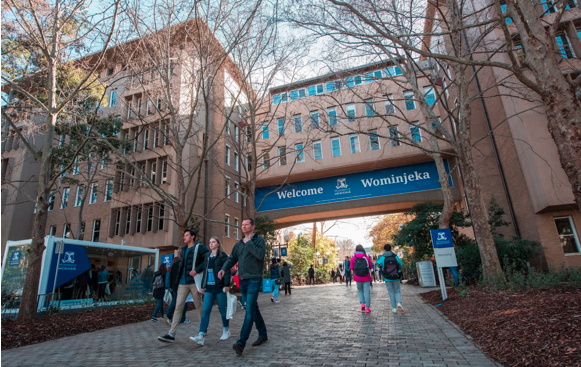 University of Melbourne Vice-Chancellor Glyn Davis said Open Day is a chance for tens of thousands of aspiring students, families and the wider community to experience the University of Melbourne. “It’s an opportunity to get to know the unique Melbourne Model, as well as get a first-hand look at some of the exciting research and learning that is going on here at the University of Melbourne,” he said. Professor Davis said additions to the current Melbourne offering will be available from 2019 and would provide a dedicated pathway and more opportunity for students. “From 2019, high-achieving students who are confident about the study pathway they want to follow will be able to enrol upfront for both their bachelor’s degree and their graduate degree,” Professor Davis said. “These new Graduate Degree Packages provide certainty to students who have a firm idea about their career direction, while also providing them with the flexibility to change their mind along the way. This includes the Hansen Scholarships (open for application in 2019 for those commencing in 2020), which will be the most valuable scholarships at the University and the Principals’ scholarships, which will provide a one-off payment to a student from each school in Victoria. In addition, scholarships will be offered to talented graduate students of Australian Indigenous descent, undergraduate or graduate students who have applied for asylum in Australia and students with an ATAR of 99+ from states and territories other than Victoria to support graduate study and assist with the costs of moving to Melbourne.